Budget coffee makers have come a long way. 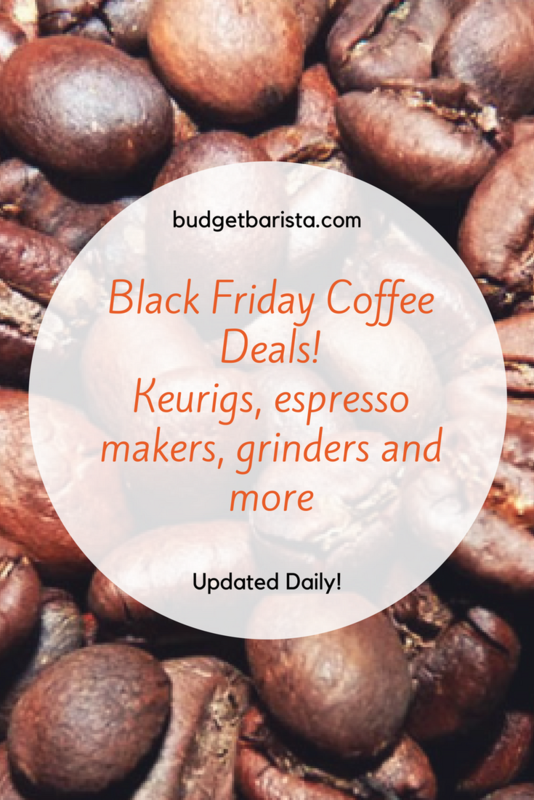 You don’t have to spend a fortune to score a decent cup of coffee. 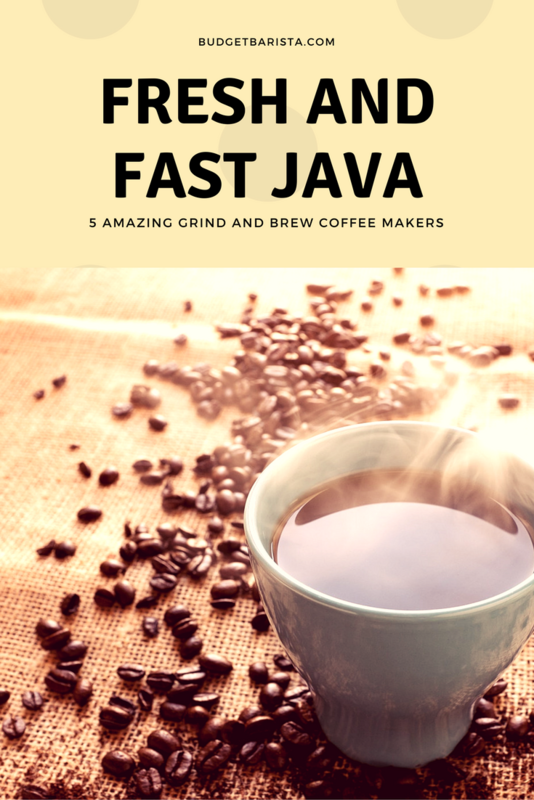 The main differences between coffee makers under $50 compared to pricier models comes down to fancier features such as brewing time, self-cleaning functions, and thermal or glass carafes. If you can’t live without some of these additional features, we’ve compiled a list of our favorite coffee makers under $100. We’ve put together a list of the best drip coffee makers under the $50 mark so you can get your fix without breaking the bank. 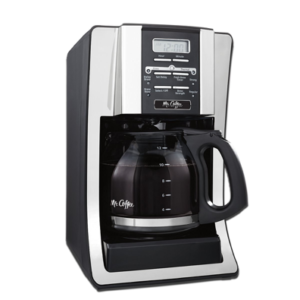 My personal favorite of the bunch is the Mr. Coffee 12 Cup Programmable Coffee Maker. It’s loaded with features and backed by a reliable name brand. What’s Necessary & What’s Not? Don’t be fooled, not all percolated coffee machines are the same. In order to reap the benefits of a smooth, velvety coffee, there are some features you should look for. This incredibly handy feature is becoming more and more common in the newer drip machines. Its main benefit is ensuring warm coffee for as long as you’d like. No more having to fret about drinking it all before it gets cold. This plate is also wonderful for keeping your coffee mugs warm before and after you enjoy your coffee. If you’re a true addict, you’ll understand how important it is to have a warm mug before savoring that first cup. Too hot and you’ll burn your tongue; too cold and you’ll spit it out in disgust. Our top picks all brew at the optimal temperature so you can enjoy drinking your joe right away. That being said, many also benefit from an “extra hot” function, for those who wish to preset their coffee machine to brew a good half hour or so before they get out of bed. This gives the coffee enough time to settle and become that “just right” temperature. We’ve all been there: trying to make coffee in the morning while you’re still walking like a zombie is a real struggle. Especially if your machine runs out of coffee mid-brew! Make sure you find a machine with a water tank big enough to fit your coffee needs. Needless to say, if you’re going to be making a lot of coffee on a regular basis, you’d need a larger machine. The usual size on the market is a 10-12 cup tank (750ml), so around 170ml of coffee per cup. These settings are absolute lifesavers, and are usually found in machines ranging from the $40 mark upwards. Having that added ability to know that your machine will turn off on its own after brewing is a true lifesaver, as there’s no need to stress about your machine constantly staying on. We took all of these factors into account when making our recommendations and compiled user reviews. Here are the drip coffee makers that have the brand name behind them, as well as the necessary features. 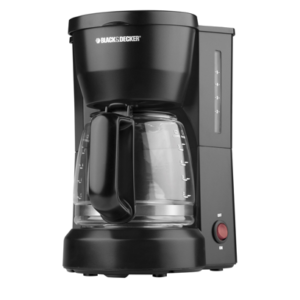 For under $30, the Mr. Coffee BVMC-SJX33GT-AM is jam-packed with amazing features for the price. The height of the unit is a mere 12.96 inches, with a width of 7.92 inches so it will fit in even the smallest kitchen. A freshness timer helps you keep tabs on the coffee freshness from the minute it’s brewed and the machine will stop warming your coffee after two hours by shutting itself off. No need to race back home on your lunch break because you left the coffee machine running. As a day-to-day machine, we would highly recommend the Mr. Coffee, especially if you’re brewing for a crowd. While still offering that classic drip taste, you are offered some incredible features that will aid in crafting the perfect brew. For under $20, this tiny little machine is perfect for those who are low on space or want a drip machine to take to work just for themselves. This machine offers a Duralife glass carafe with a non-stick heated plate, all while offering an optimal brewing temperature. Black & Decker have the brand name behind them, offering fantastic customer service and warranties. We all know at least one person who has that “I’m too busy to do anything” lifestyle. This coffee machine is for them. The Hamilton Beach Single Scoop offers a sleek silver design while still managing to stay under the $50 mark. That being said, this is perfect for those who want a small coffee-bar in their den, office, or classroom. This machine offers a brewing capacity of up to 14 ounces, that’s the size of a large cup of coffee. It also has a built-in stand that folds out so you can use it at home with your favorite mug. Struggling to get out of bed on time is one of life’s mischiefs, that’s where this coffee maker comes to use. The 12-cup Carafe features a vacuum sealed, double-walled thermal wall meaning your freshly brewed coffee will stay hot for hours. 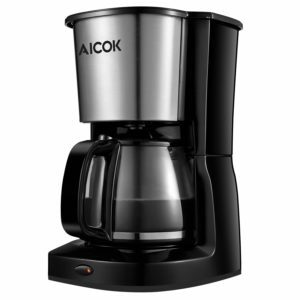 This machine offers programmable timer functions, as well as customizable brewing options and a thermal carafe, all while maintaining a price point of under $50. This machine offers an aesthetically pleasing first impression, as the stainless steel enclosure captures consumers’ attention immediately. While this machine offers features such as a self-warming plate and a permanent washable coffee filter, it doesn’t have any programming functions; a major downfall. 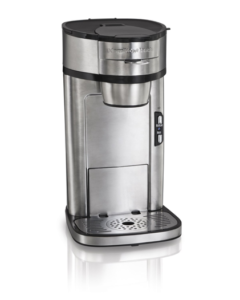 Ranging from $30 – $40, this machine is perfect for those who want coffee without the fuss. Plus the washable filter means minimal cleanup is required. Which One is Good to the Last Drop? 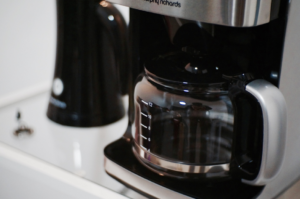 Our favorite drip coffee machine under $50 is the Mr. Coffee 12 Cup Programmable Coffee Maker. It offers a reliable brewing system with features that outshine all the other drip coffee machines on the market under the $50 bench line. While the Black & Decker DCM600B offers the basic features and a fantastic servicing history, the extra $10-20 upgrade will be worth your while. 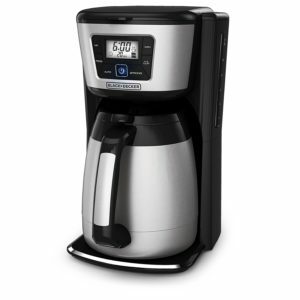 However, the Hamilton Beach Single Serve is a fantastic, sleek machine with a lot of potential, yet it fails with some basic features such as programmability. It’s understandable that you wouldn’t necessarily need these features for a one-cup machine, but it sure would be nice to have. If you prefer all the bells & whistles, then the Black & Decker CM2035B is a solid choice. This machine is by far one of the most technologically advanced in the market for just under $50. The Aicok lacks some features many consumers would consider important, such as programmability. However, the sleek design and functionality work together nicely to ensure you are rewarded with a great cup of coffee.